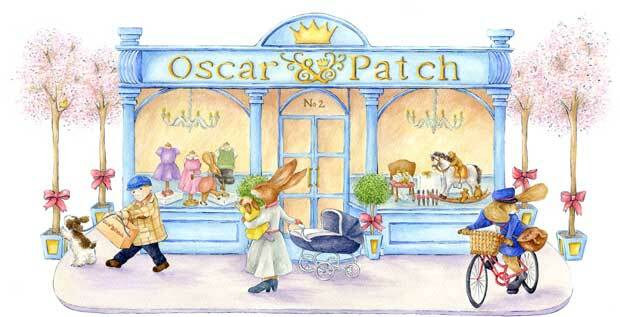 Oscar and Patch stock a fantastic range of traditional toys, clothes and furniture for the under 5s. 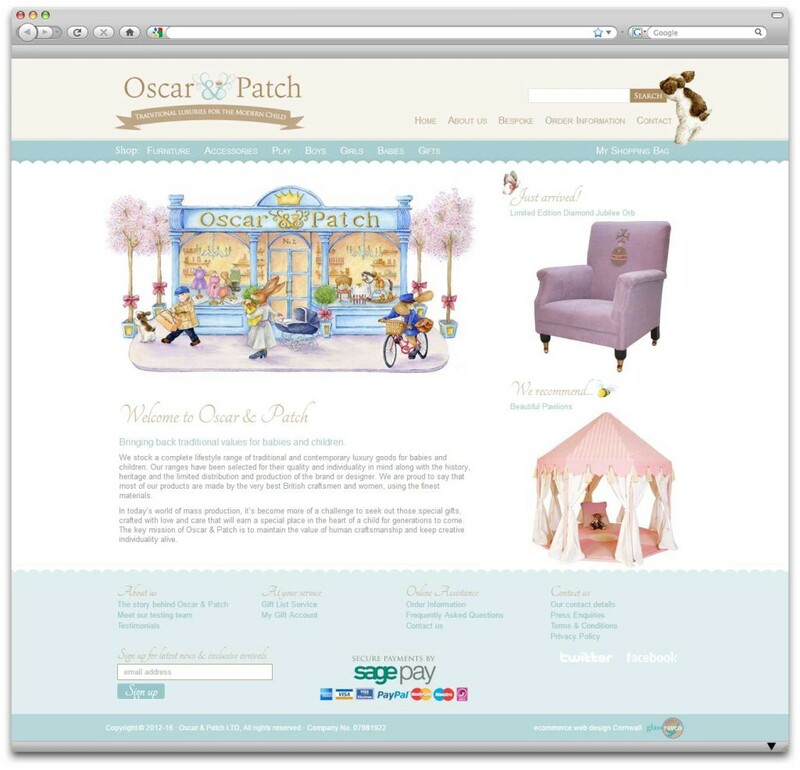 A very classic, clean look for this new website, beautifully presented with their unique hand drawn illustrations as the focal point on many of the informational pages. 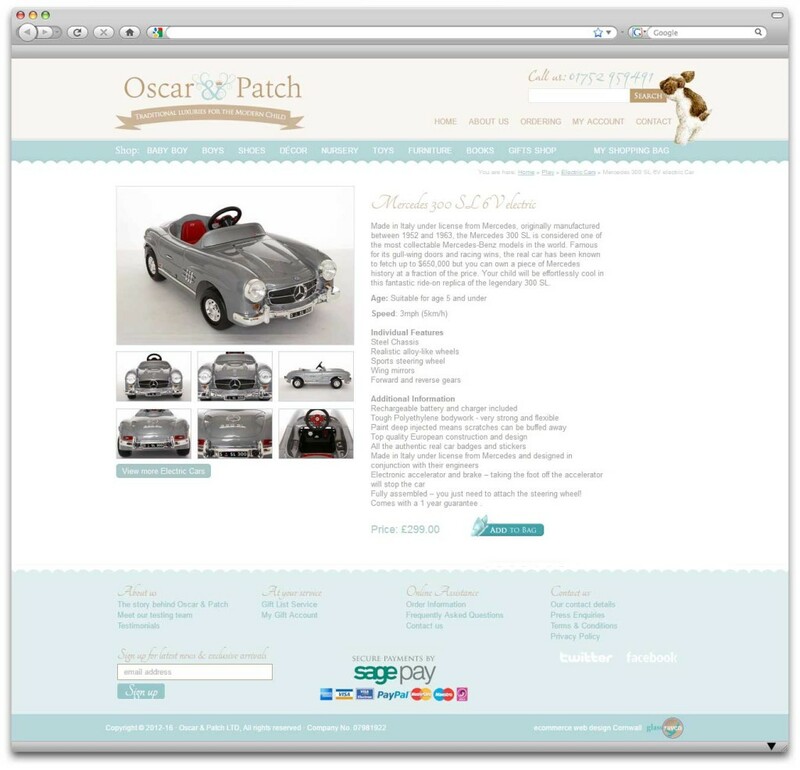 We developed a custom gift registry to work for customers to share with their friends and family.